Southern Solutions began offering customized applications for Xerox ConnectKey controller based multifunction printers in 2014. In 2015, Southern Solutions became the first Xerox certified Personalized Application Builder Authorized Developer in the U.S. We have had a lot of interest in our app solutions from Xerox customers and partners around the globe. In 2016, our App Solutions revenue grew 611% year over year! The Contact Us App simplifies the service and supplies process by allowing customers to request service and supplies from their Xerox partner directly from their Xerox MFP. Currently, there are more than 5,000 Contact Us Apps installed on Xerox devices. In 2017, we will be introducing additional integration with our Contact Us App including with Xerox’s Partner Print Services program (XPPS). With the Firmware Connect App, firmware and software updates for Xerox MFPs are automatic thereby increasing customer satisfaction, increasing equipment reliability, increasing network security and decreasing service calls. There are more than 12,000 Firmware Connect Apps installed on Xerox devices. Just recently, Southern Solutions launched our newest app, the Email Connect App. 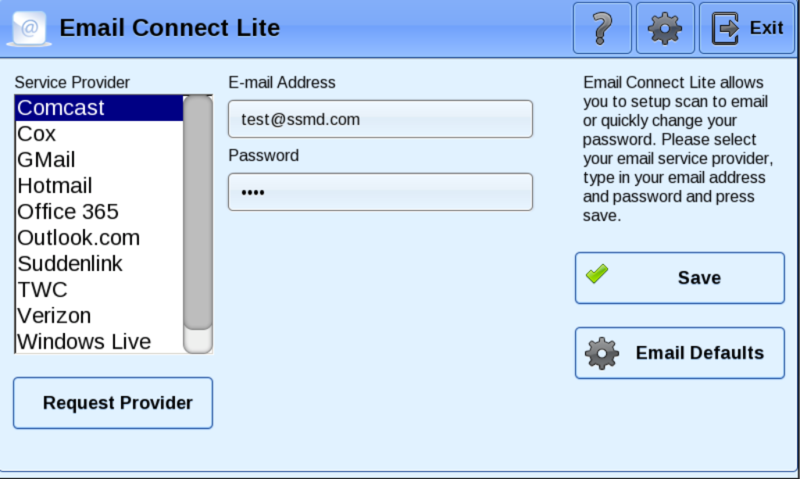 The Email Connect App simplifies the set-up process of Scan to Email on a Xerox device from 16 steps to just 3.